If you quote “You’ll shoot your eye out, kid. Merry Christmas! Ho, ho, ho!” every time you see a department store Santa, then this is the fruit for you! 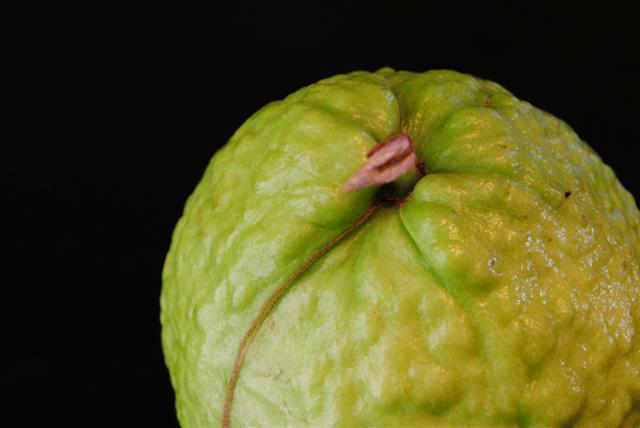 This fruit is less acidic than most guava and has a nice, rounded, mellow flavor. However, that also makes it a little boring. Luckily I entertained myself by spitting/shooting out the little pellet seeds as if I had personally transformed in to an Official Red Ryder Carbine-Action Two-Hundred-Shot Range Model Air Rifle! 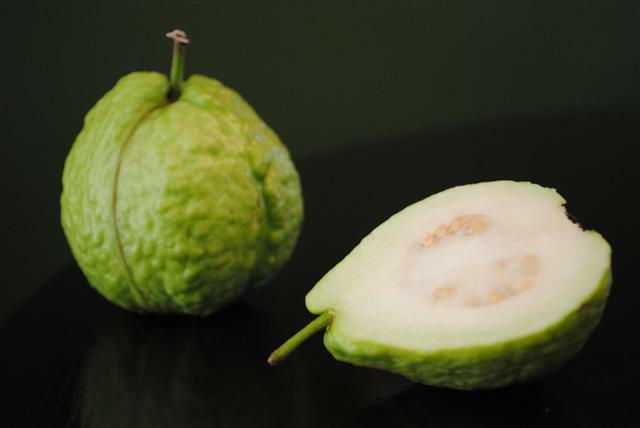 The man who sold this to me indicated that this particular guava could be eaten while still firm and would be fantastic – unlike most guava where you should really wait until they are soft (like a ripe avocado). So I cut this open while it was still quite firm and I have to say I think he was wrong. Only the very center was soft and that was the part I reviewed above. The hard parts were terrible – very acidic and lacking flavor. When in season, you can buy various types of guava at some standard grocery stores, most asian grocery stores and online here. If you get them online, a small amount will go to support the Fruit Maven. So thanks in advance! I am also a San Diego resident and I find myself tending my sister-in-laws fruit trees, one of which is a Vietnamese Guava. It started bearing last year and I now know that a) the fruit can become grapefruit sized, and b) the fruit set was so heavy that 2 major limbs have broken. I am not sure if it bears year ’round but if it does, I am in trouble. I just sampled the largest, fully ripe (pale yellow skin) scraped out the seedy central area, peeled it, chunked it, tasted it and came to a similar conclusion as you did. But I just sprinkled it with a Tbsp. of sugar and half a lemon and threw it in the fridge to see how it improves or fails. If you read this anytime soon and contact me I’ll let you know. I also took a look at the website and see that you are selling through ebay. How is that going? This little mini orchard might be able to help you out as there are some very interesting things being grown and lord knows, when the fruit starts to come in there is more than I can use. Keep up the good work. My sister-in -law is loves having rare fruit, and will like knowing about you and your site. OH No. What said above is all wrong!! I grow and eat guava all my life. The fruit should be picked and eaten when when the color changed to light green. The trick is to pick it when it is still firm and not soften. Fruit and seed should be eaten all. Hi.. I am in Auckland New Zealand. 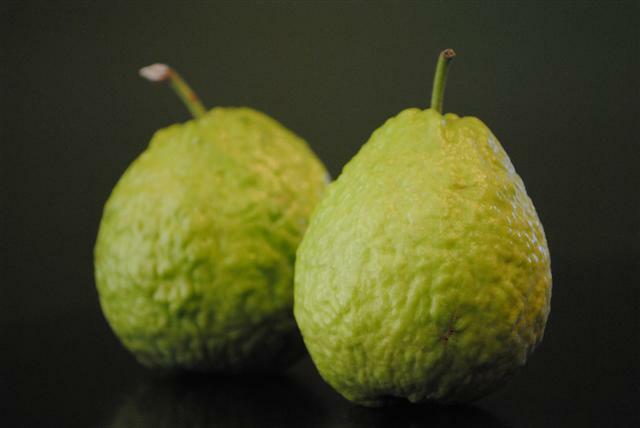 I am hoping to plant an orchard of these Vietnamese Guavas. Do you supply the seeds and send to New Zealand? Where can I buy a small tree like this? I’m in Riverside.